New research from the Case Western Reserve University School of Medicine describes a mechanism by which an essential quality control system in cells identifies and destroys faulty genetic material. The findings were published online on December 23, 2016 in Nature Communications. The open-access article is titled ATP Hydrolysis by UPF1 Is Required for Efficient Translation Termination at Premature Stop Codons.” Kristian Baker Ph.D., Associate Professor in the Center for RNA Molecular Biology at Case Western Reserve University School of Medicine, led the study that provided evidence for direct communication between the cell's protein synthesis machinery - the ribosome - and the protein complex that recognizes and destroys defective genetic intermediates called messenger RNAs (mRNAs). "We aimed to understand how cells are able to recognize mRNA that is defective and distinguish it from normal mRNA. For most cells, this process is critical for survival, but we didn't yet understand how it works, especially when the difference between the two is very subtle," said Dr. Baker. 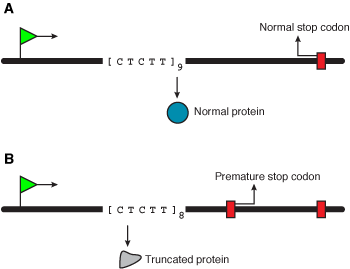 "Our findings clearly show that surveillance machinery involved in identifying faulty mRNA functionally interacts with the ribosome, the apparatus responsible for synthesizing proteins in the cell. It is now clear that these two elements communicate and work closely together to recognize and eliminate aberrant mRNA from the cell." Cells convert sections of DNA encoding genes into mRNA that serves as a blueprint for the synthesis of a protein. 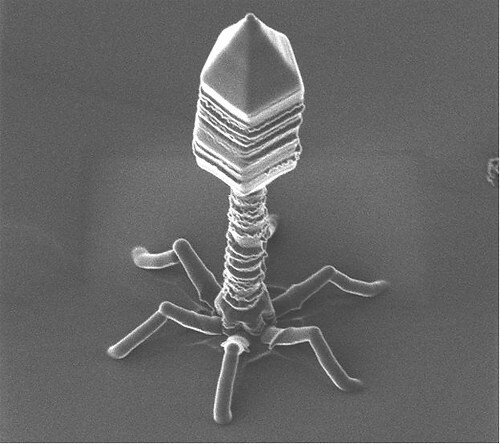 Bacteriophages (phages) are probably the most abundant entities in nature, often exceeding bacterial densities by an order of magnitude. As viral predators of bacteria, phages have a major impact on bacterial communities by reducing some bacteria and enabling others to flourish. Phages also occasionally package host DNA and deliver it to other bacteria, in a process known as horizontal gene transfer (HGT). The biology of phage infection has been extensively studied since the beginning of the 20th century. However, the fate of phages in complex bacterial communities resembling their natural ecosystem has not been studied at the cellular level. To investigate the biology of phage infection in complex bacterial communities, researchers followed phage dynamics in communities harboring phage-resistant (R) and phage-sensitive (S) bacteria, a common scenario in nature. Now, in new research, published online on December 29, 2016 in Cell, researchers at the Hebrew University of Jerusalem's Faculty of Medicine provide the first demonstration of a mechanism by which bacteria entirely resistant to a given phage become susceptible to it upon co-incubation with sensitive bacteria. The researchers show how phage-sensitive bacteria harboring phage receptor can deliver the receptor to nearby phage-resistant cells that lack the phage receptor, via a molecular transfer they call "acquisition of sensitivity" (ASEN). This process involves a molecular exchange driven by membrane vesicles (MVs), in which phage-resistant cells transiently gain phage attachment molecules released from neighboring phage-sensitive cells. By exploiting this novel delivery system, phages can invade bacteria lacking their receptor.